What Is collaboration And How Will It Help Me? Collaboration is a working practice whereby individuals work together to a common purpose to achieve business benefit. It is the ability to work together as a team and support each other to have a stronger chance to improve business performance and outcomes. Collaboration is the key to Empower your business and take it to the next level. Collaborating with other business women with similar target audiences to you will help boost sales, website traffic and your reputation, but in order to ensure collaboration success you will need to follow these basic rules and collaboration practices. This year I decided to host our annual KnitFest workshop at our shop location. Why not be surrounded by gorgeous wools and yarns and not to mention a room full of beautiful knitted samples. will be here teaching a variety of classes. Please note, we will be closed all day on Saturday April 13th. See you again on Monday April 15th @ 10am. 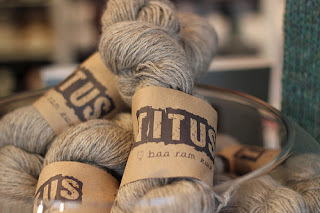 On my latest yarn crawl thru Ottawa, I bumped into this wonderful yarn called Gobelin by Biscotte & Cie at Wabi Sabi. 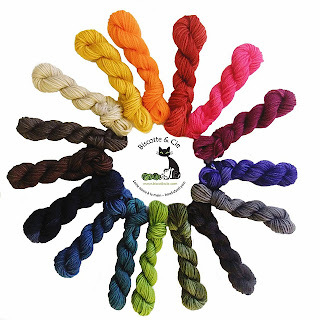 The Gobelin yarn kits, Thalassa semi solids and Felix self striping sock yarns will arrive this week. Since our weather is still on the cooler side, why not make a lovely Aran sweater. Our new yarn arrival Fashion Aran by King Cole has produced a wonderful book full of family knits.